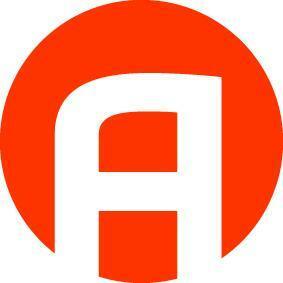 Aventics is a leading manufacturer of pneumatic components & systems. The pneumatic engineering company provides products and services for industrial automation, food, packaging, medical & energy technology industries. Aventicscompany also develops solutions for the commercial vehicles, marine, and railway technology sectors. By integrating electronics, the use of state-of-the-art materials, and focusing on machine safety & the “Internet of Things” (Industry 4.0), the German pneumatic specialist, with over 150 years of expertise, is a true pioneer in applied and environmentally-friendly solutions. 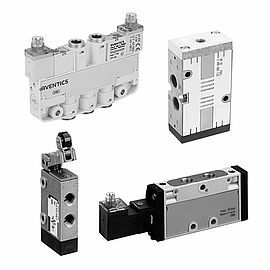 Some of you might still know these products under the name of BOSCH REXROTH, but AVENTICS is a standalone company which has been created from new ownership of the former Pneumatics business unit of BOSCH REXROTH. REM-B HYDRAULICS has been an official authorized distributor for Aventics since 2017. Feel free to consult us for all your pneumatic enquiries. New online configurator for standard build welded hydraulic cylinders. 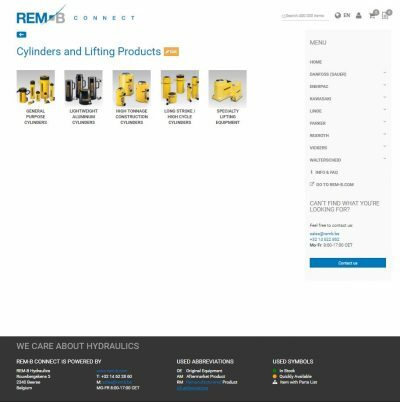 REM-B HYDRAULICS launches new online configurator for standard build welded hydraulic cylinders. Do you require a specific hydraulic welded cylinder ? 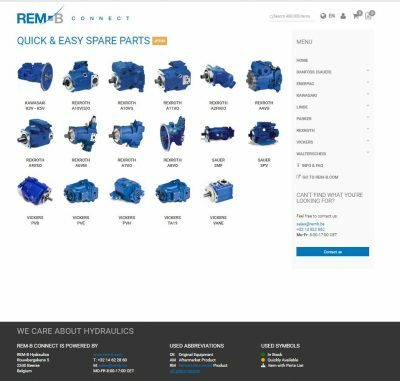 REM-B HYDRAULICS now offers the users of it’s online information portal & webshop,REM-B CONNECT, the possibility to use an online cylinder configurator. This tool allows the user to quickly & easily compose your standard build cylinder and visualize the outcome as you will immediately see a detailed and accurate outline drawing (including the necessary dimensions). 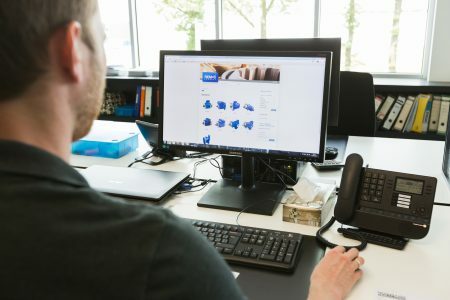 Whether on the go or sitting in your office, this user-friendly online tool delivers immediate access to 2D cylinder drawings & pdf datasheets. Furthermore you will have the possibility to ask for a very specific quote, based on your needs. You can also request a 3-D or CAD Drawing on the same page. These on-demand capabilities eliminate the wait for 2D drawings and cylinder quotations and allow you to work faster and more efficient. 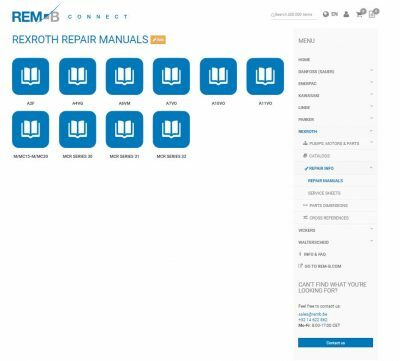 The addition of this online cylinder configurator fits perfectly in REM-B’s philosophy to help its customers in a fast and efficient manner. WE CARE ABOUT HYDRAULICS ! 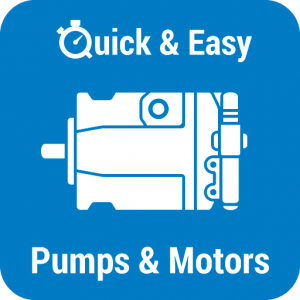 Check out our new video about changing rotation of hydraulic vane pumps. Ever wondered how to change rotation of a hydraulic vane pump ? 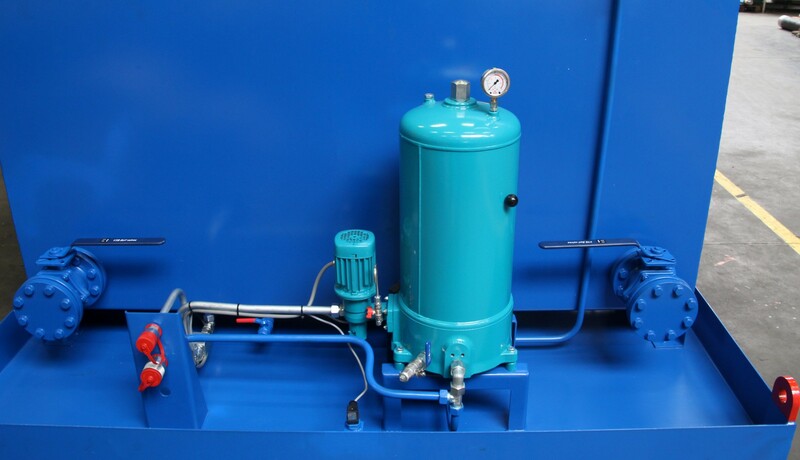 Have an hydraulic vane pump on stock, but does’nt have the right rotation ? You can easily change it and use the pump you have on stock. How ? Thanks to our experienced technical expert, Mr. Danny Dufraing for demonstrating the procedure ! Filmed at REM-B HYDRAULICS’ workshop in Beerse. 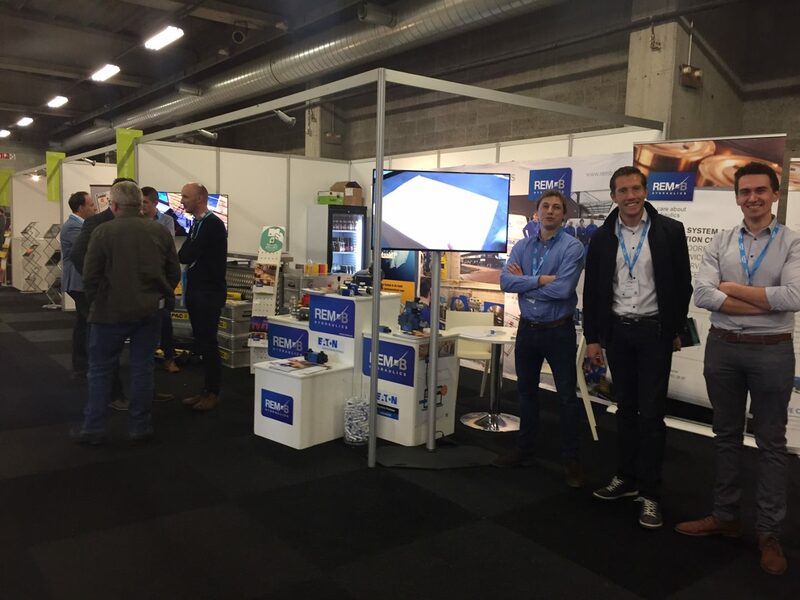 Thank you for visiting our stand at the Maintenance fair 2017 ! 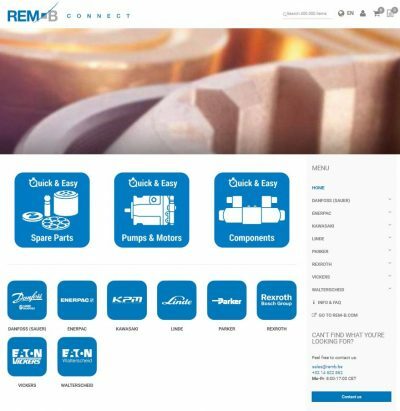 New & improved version of our webshop & information portal REM-B CONNECT online ! Looking for an hydraulic part or component that you need urgently ? Look no further ! improved interface: enquiring or ordering is now easier and faster ! REM-B HYDRAULICS is pleased to announce EATON’s new addition of the DG4V5M-21 valve to it’s line of CETOP directional control valves with enhanced ingress protection, perfect for mobile applications exposed to the elements and subject to high pressure wash-down. These valves complement EATON’s recently launched DG4V3M mobile valves, increasing product coverage for mobile applications. EATON has also developed a proportional version of the DG4V3M that is now available upon request. All of EATON’s mobile CETOP valves feature integrated Deutsch connectors and carry an ingress protection rating of IP69K. You can find out more information in the brochure. 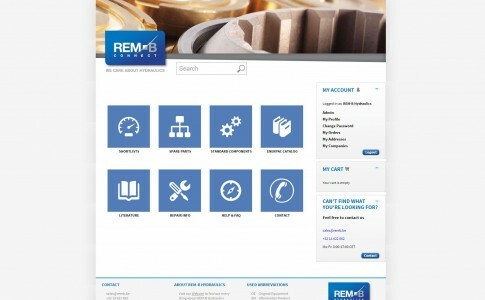 One year ago REM-B HYDRAULICS’ online information portal and webshop saw the light of day the for the first time. 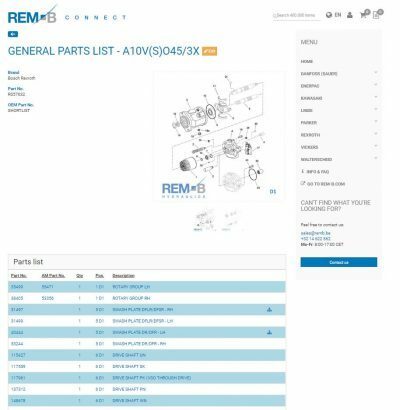 During it’s one year’s existence REM-B CONNECT has evolved into a comprehensy product database containing over 350.000 product references and 30.000 complete parts lists for producst from the most famous hydraulic brands, like for example BOSCH REXROTH, EATON VICKERS. 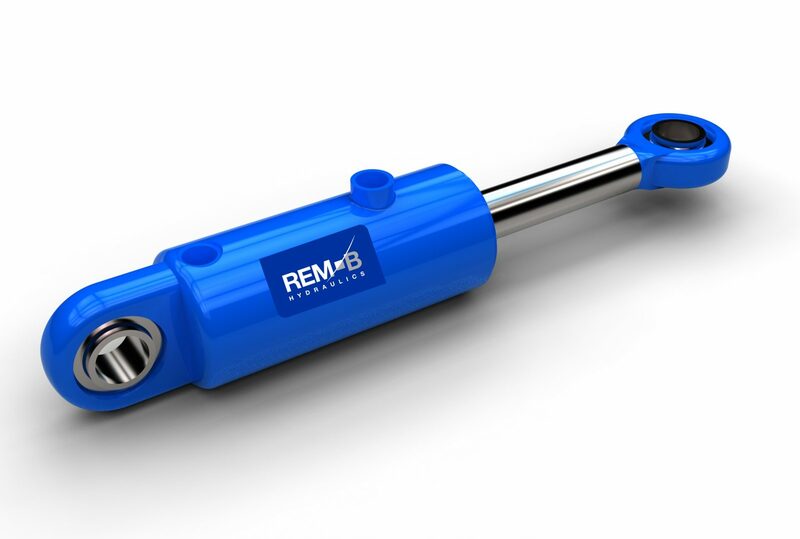 Ever since, many users from all over the world have registered and gained acces to REM-B’s large product range and broad hydraulic knowledge. This is only the start as we are constantly updating, expanding and improving our online shop and portal. 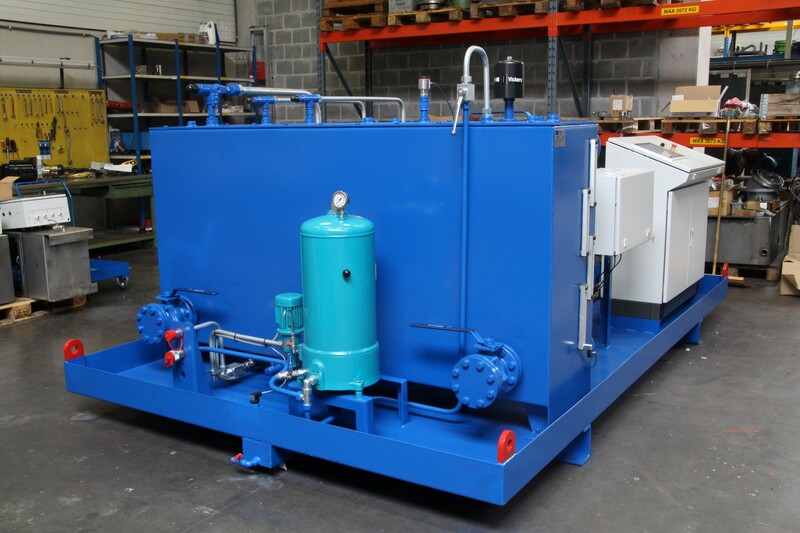 REM-B Hydraulics and CG Power Systems Belgium develop a unit for hydraulic testing of transformers. 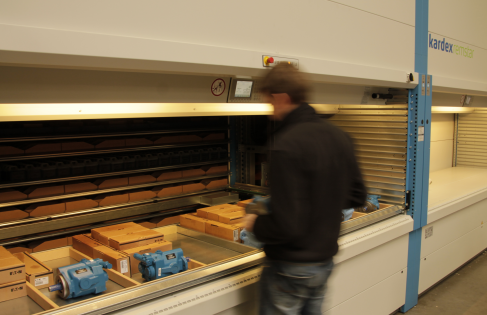 REM-B Hydraulics and CG Power Systems Belgium develop a test-unit “fatigue” testing of transformers. Initiatives like ‘Europe 2020’ (which targets 20% renewable energy in the overall energy supply by 2020) and a growing ecological consciousness induce an ever-increasing demand for renewable energy. Sustainable resources in Europe are predominantly produced by wind turbines. The wind that propels these turbines is steadier and more powerful in the open stretches that are indicative of the ocean along the European coastlines. Therefore new wind turbines are almost always constructed on sandy shoals in the sea. 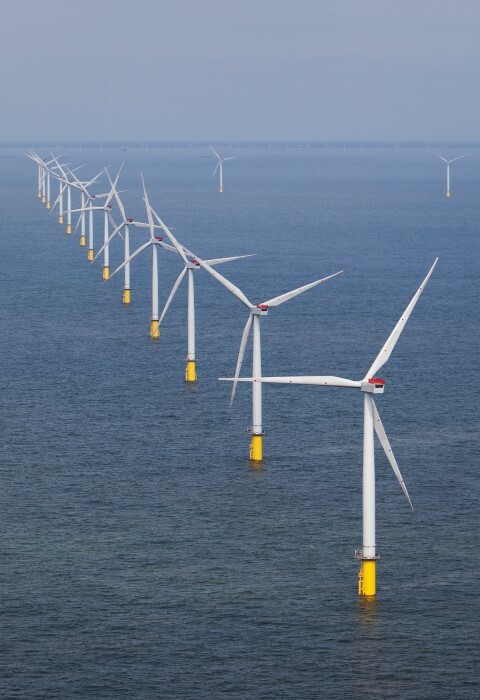 Due to the higher intensity of the wind, the ability of these offshore turbines has grown enormously in recent years and it is expected that the capacity will keep on expanding. 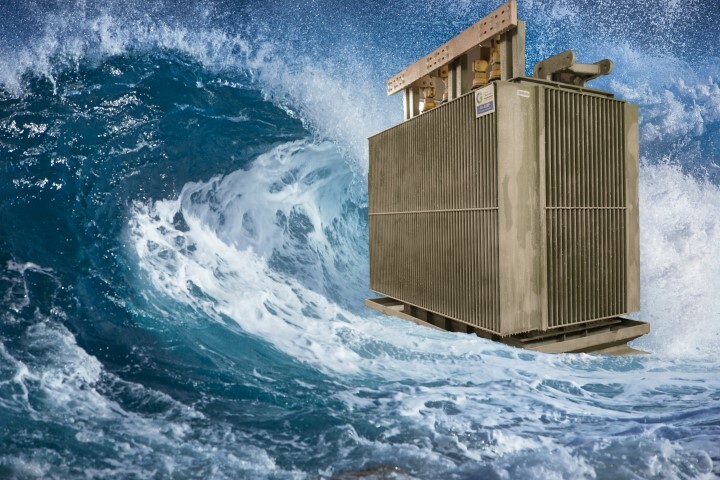 The transformers installed in these offshore turbines are exposed to interchanging stress and fluctuating temperatures in the transformer body. These two circumstances cause the electrical isolating coolant in this type of fluid-driven transformer to alternate between heating up and cooling down. As a result of these changes in temperature the fluid will dilate and then constrict, putting stress on the transformer housing and causing mechanical fatigue. To prevent “fatigue” in these kind of offshore turbines, the transformers and their housings are subjected to an extensive array of tests before installation. 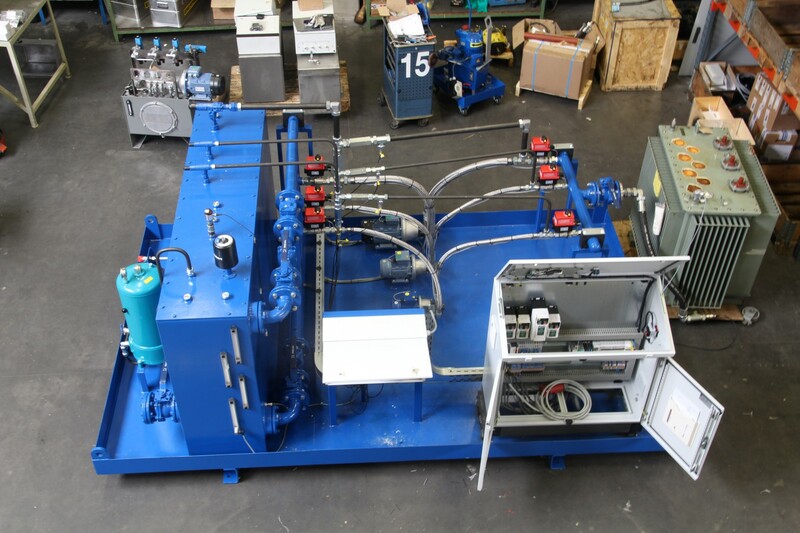 Our state-of-the-art test stand will regulate the fluid capacity and the corresponding pressure inside the transformer by pumping fluid in and out of the transformer housing. By intelligently controlling the pumps in a destructive life cycle test, we can simulate the mechanical fatigue the transformer housing will sustain while being operational. These tests will be customarily carried out on prototypes. Our test stand is also outfitted for non-destructive test programs, which will allow us to perform a quality control on the transformer housings before use in the wind turbines. These tests, where the volume and the pressure inside the system will function as variable parameters, will permit us to establish a flexibility curve. This curve will disclose how the transformer reacts to various conditions. Based on this information you can tell if the transformer housings measures up to the requirements or not. From the flexibility curve you can also derive the maximum allowed amount of pressure inside the housing During this test the amount of pressure is increased step by step until the transformer housing starts to deform plastically. This point determines the maximum amount of pressure allowed for standard operations in the transformer. This test is executed without damaging the housing whatsoever and can be utilized to inspect the housing quality before it is repleted with the core, windings and liquid dielectric. Our installation consists of 4 crucial elements: the driving mechanism (composed of 3 pump motor systems), the oil management system, a network of intelligent sensors and a control center from where the installation is managed. The displacement and pressure are regulated by 3 frequency-driven pump motor systems. We have opted for fixed displacement hydraulic gear pumps. These pumps are equipped with specific seals and is immune to the aggressive isolating coolant pumped throughout the system. The variable flow rate of the installation has a vast range of 60l/h to 600l/h. This substantial range allows us to test the entire scale of CG production, from small distribution transformers on the side of the road to bigger power transformers in electrical plants. 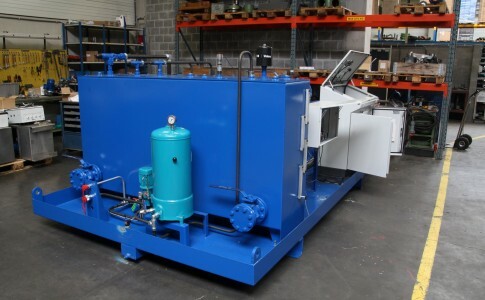 The system is manufactured for usage with four different types of fluid who are habitually used as a transformer medium. The variable pressure is controlled by intelligently guiding the motor frequency and the electronically driven ball valves. The pressure in the transformer will vary between 300 millibars (underpressure) to +500 millibars (overpressure) during testing. The pressure differences coincide with the pressure differences caused by temperature fluctuation and stress on an operational transformer during extreme weather conditions. Our testing infrastructure nor the old/new transformers that are being subjected will not be damaged in any way during the tests. Therefore the test should always be performed with clean hydraulic fluid. 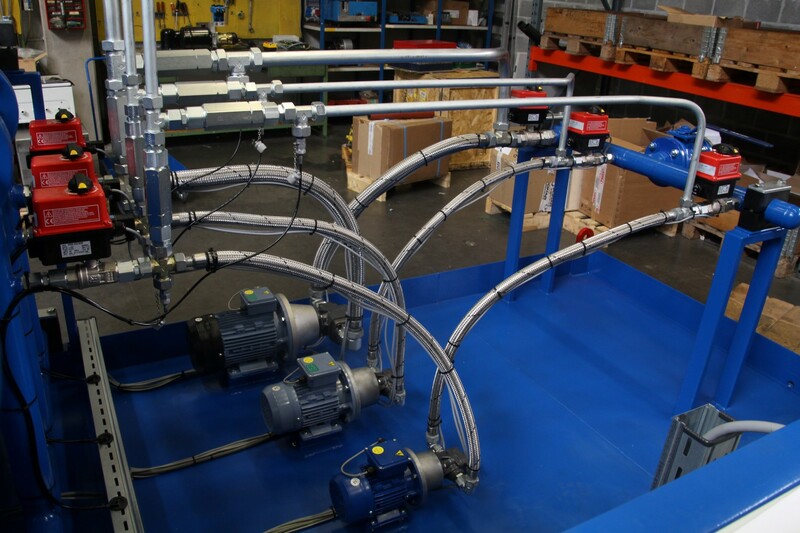 To prevent corrosion or damage by the use of contaminated oil, we have implemented a high quality filtering system with Bypass Air filtration. The filtering system contains a special filter which is capable of draining the contaminated particles out of the used liquid. It also contains a dewatering installation. Water is not welcome, not only because it will cause rust in the hydraulic system but also because of the conductive nature of water. It’s unnecessary to say that water does not belong in a transformer. A network of built-in sensors is responsible for control and safety. The amount of pressure is safeguarded by a couple of pressure sensors. The temperature of the fluid inside the transformer and the oil reservoir are under the control of temperature sensors. There are also 2 level-measuring sensors implemented inside the system to measure the level of the fluid in the reservoir and inside the transformer. This will obstruct the hydraulic pumps from sucking in air. This setup will also permit us to discover leaks in the transformer. The entire test unit is controlled by an electrical drive circuit with touch screen, making it easy to calibrate the parameters. This installation was produced in july 2015 by REM-B and will be fully operational in the Mechelen branch of CG Power Systems right after the summer holidays. REM-B HYDRAULICS is proud to announce it has successfully passed it’s annual VCA** audit. 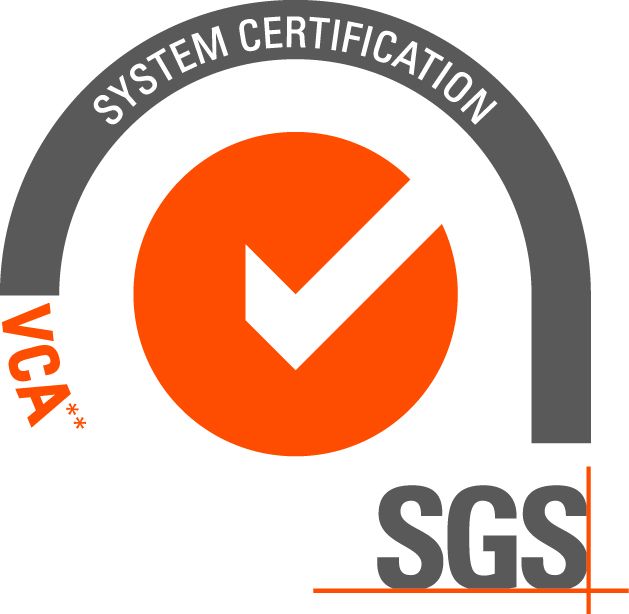 Which means we are VCA** certified for another year. The VCA or in English: the “Safety Checklist Contractors (SCC)” is a management model in the areas of safety, health and environmental protection and is directed in particular to contractors and service providers that operate in industrial work centers and executing security-related work, for example maintenance on production equipment, measures at construction projects, new construction and renovation on plants (e.g. petrochemical industry). 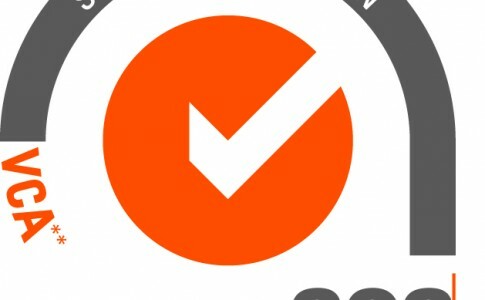 A management system according to the Safety Checklist Contractors verifies that organizations and their employees implemented a safety management system and the organization is actively engaged around the safety, health and environmental protection. A unique online webstore and information portal.